Description: Small lacquer suzuribako, with white lacquer background from titanium, ca 1935-1936. Decorated with red rhododendron, with black and golden leaves. 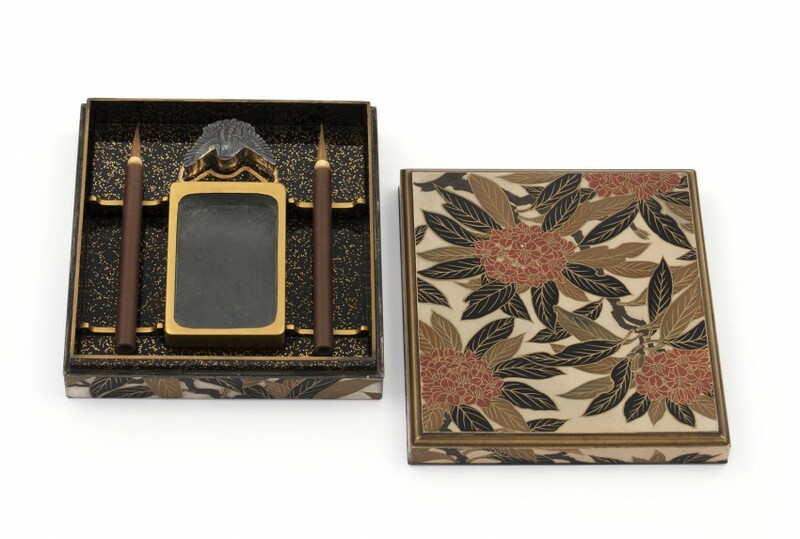 Black lacquer interior, decorated with sprinkled golden nashiji. 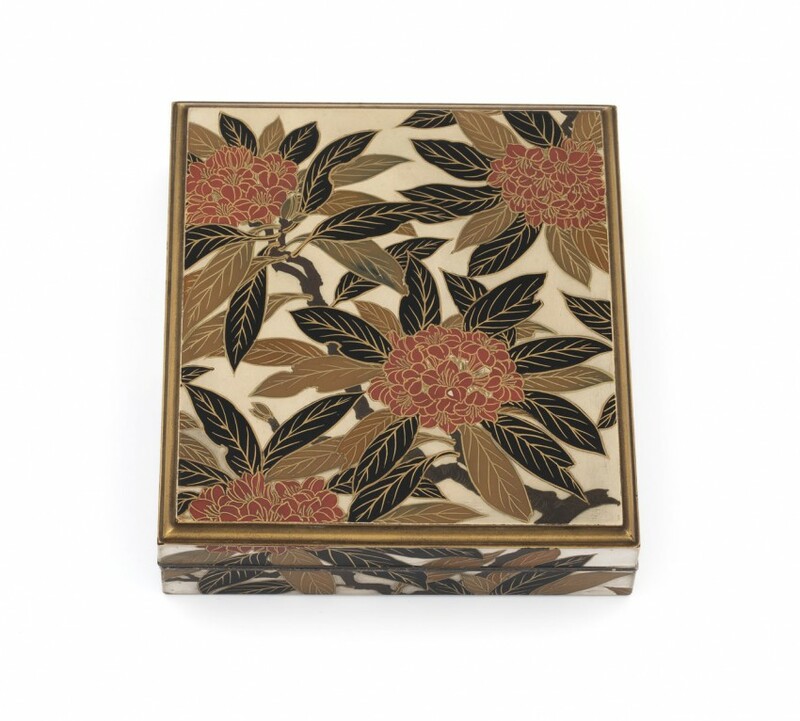 Signed: With original box, on the lid is written shakunage (rhododendron). Inner lid is signed by the artist, with seal. Size: 13,5 cm (w) x 12 cm (d) x 3,5 cm (h).